M. Night Shyamalan's thriller Split hit theaters this weekend, completely dominating three other new releases for an easy box office win with $40.2 million, in what was expected to be a tight race at the box office. The film has already earned eight times more than its reported $5 million budget. But for those who got to see it over the weekend, the talk has centered on the surprise ending. If you haven't seen Split yet, there will be some MASSIVE SPOILERS below, so read on at your own risk. Split centers on three young girls (Anya Taylor-Joy, Haley Richardson, Jessica Sula) who are abducted by a man named Kevin Wendell Crumb (James McAvoy), who plays host to 24 distinct personalities. While the movie focuses on Kevin and the various personalities that reside within him, fans were given quite the shock at the very end of the film, when it was revealed that this story takes place in the same universe as M. Night Shyamalan's 2000 thriller Unbreakable. The final scene takes place in a Philadelphia diner, where a news report plays about Kevin, who has been nicknamed "The Horde." A woman mentions that this killer reminds her of another criminal with a nickname, which is when we see Bruce Willis reprising his Unbreakable role as David Dunn, telling this woman that she's referring to Mr. Glass, the character played by Samuel L. Jackson. During an interview with Coming Soon, M. Night Shyamalan reveals that he has every intention of writing an Unbreakable follow-up, that will presumably feature David Dunn, Mr. Glass and Kevin Wendell Crumb. Here's what he had to say about the sequel, teasing he isn't making any guarantees, but he wants it to happen. "I have every intention of doing one more. I can't guarantee it, because I'm a writer and I don't really write for other people. The only reason I can't guarantee it is, because I don't know what the demons are going to do when I get into the room. They may shut me down. They may not come out. I think the reason I've never done a sequel and never even been interested is because I don't like knowing. I want to tell you a new story each time. I don't know if those things are going to grab me and freeze me, but I have every intention of doing that. I'm hoping I don't freeze up. I think the Unbreakable world is about finding the extraordinary in the ordinary. That's kind of Elijah's thesis. That excites me when we're talking about maybe another one. What would Elijah's reaction be to Kevin Wendell Crumb? He'd be like, 'I knew it!'" Unbreakable hit theaters in 2000, earning a solid $95 million domestically and $248.1 million worldwide, from a $75 million budget. While it's definitely not M. Night Shyamalan's biggest hit as a director, it is the one movie fans keep asking for a sequel to, with actor Patton Oswalt even reaching out to M. Night Shyamalan on Twitter in 2015, with his pitch for an Unbreakable sequel. 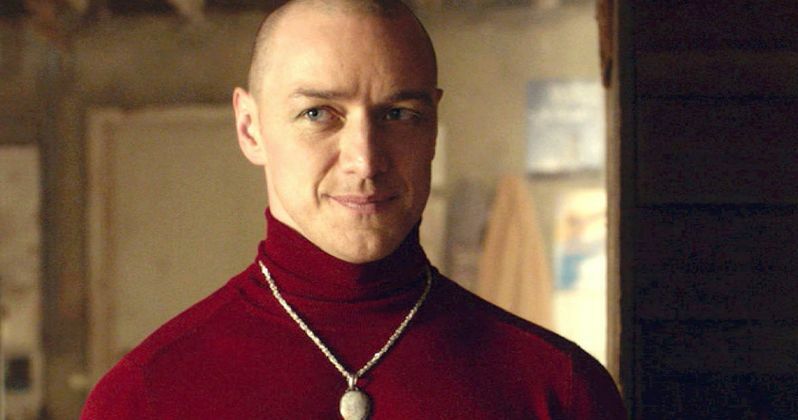 During a separate interview with CinemaBlend, the director revealed he was mulling over whether or not he should connect Unbreakable to this story or not, before finally deciding that he wanted them linked together. "I did toy with making it a totally unrelated thing. I pulled it, and then I was like, 'I want them connected.' And then I was like, 'Maybe I should just make it unrelated.' And then I was like, 'You know what? Let's connect it.' And I guess the premise, and this is for your spoiler section, I remember pitching it in my office, like, 'What if we made a movie, but you didn't realize that what you were watching until the end, that you were watching the sequel, but you didn't know.' (The first question was) 'Why would any studio want to make a sequel and not promote it?' It's the one reason you make a sequel. And I said, 'We'll let word of mouth do that.' I said, 'When the movie opens, let word of mouth do that. So maybe it will be an unusual second weekend.' But then also, the fun thing is that you didn't realize you were watching an origin story, until the end. Put aside Unbreakable. That moment, the whole thing, you thought you were watching a thriller, a normal thriller, but this was all one big origin story." Split also didn't seem to be affected by a petition circulating to boycott the movie due to its harmful message about mental illness. The movie's $40.2 million opening weekend is the fourth highest debut ever in the month of January, just behind Kung Fu Panda 3 ($41.2 million), Ride Along 2 ($41.5 million) and American Sniper ($89.2 million). Now that the word about this Unbreakable twist is out, it could set up a minimal decrease in its second weekend at the box office, but we won't know for sure until Sunday morning. This weekend, Split will go up against the controversial A Dog's Purpose, Gold and Resident Evil: The Final Chapter.